Zyuranger 18 with Mega Anon!! Thread: Zyuranger 18 with Mega Anon!! I think we can all agree that the last episode was pretty damn epic. Can this one up the ante? Of course! In fact it only goes up from here (your experience may differ). 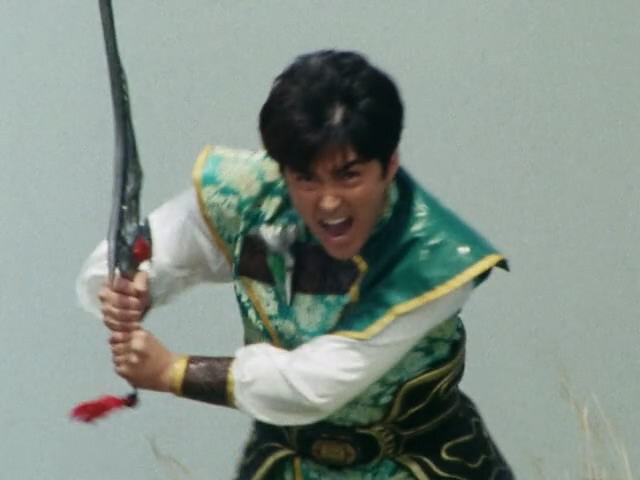 This episode is mostly focused on Burai, his backstory, and his goals. Bandora proves that even when she’s being silly she’s downright evil. Geki also gets a bit of backstory too! You might know the basics of that backstory but it’s actually a bit complicated and kinda confusing. It actually had me confused up until tonight. Thank goodness we have subs. There’s lot’s of out of suit action in this episode and it’s top notch as always. Also we have DaiZyuJin playing God again. He’s never content with just being a robot, what a pain. TRIVIA: Kid Burai is played by Sakai Hisashi aka Kou/KibaRanger from Gosei Sentai Dairanger! QI-POWER FORTIFICATION! FANG CHANGER! Last edited by virushopper; 07-26-2014 at 04:50 AM. Hi everybody I'm new here and I have a question. I downloaded the Torrent for this episode and than I used Format Factory to convert the file to PSP files. (This is my usual method for watching Super Sentai) and the video worked but it had no subs. It was RAW. Could anybody help me with this issue please? We are using softsubs, that might be your problem. Download the hard subs and use that instead of the soft sub version.